Friday the 14th of March, almost a year after Shlok Foundation was officially registered as a trust, held special significance. 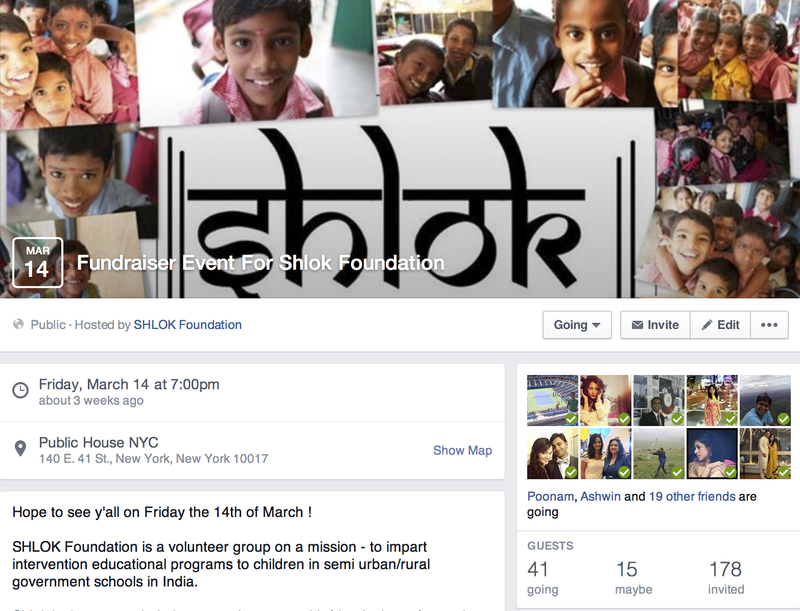 Shlok Foundation held its first fund raiser overseas, in midtown New York. The funds raised are expected to aid the setting up of a mini Rapid Learning Environment ( RLE ) (which is a computer lab connected to the internet) to further the concept of self-learning propagated by Dr Mitra. Shlok Foundation has conducted book and stationery distribution drives and food distribution drives through individual donations from volunteers and their extended network of friends & family.The fund raiser held in New York was the first time a Shlok Foundation event was held towards raising money for the cause of education. The fund raiser was hosted by Deep and Poonam, who have shown great interest in the cause ever since they had their first experience with Shlok at the Puttenhalli Chapter, Bangalore in Dec 2012. The event attracted close to forty interested individuals. The event served as a platform to kick start Shlok Foundation’s activities in the USA, and everyone had a great time socialising on a friday evening. Shlok Foundation sincerely thanks everyone who turned up and contributed towards the success of this event. 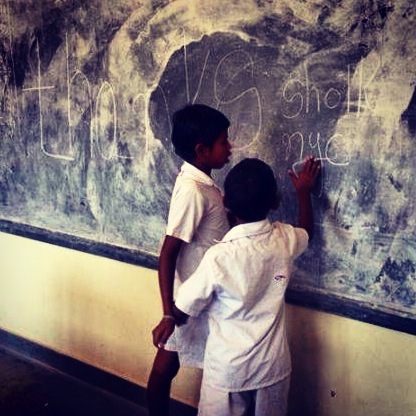 We hope to have many more events in the future, and encourage those interested to volunteer with Shlok Foundation USA ( be it through social media usage, marketing and fund raising, connecting the organisation with potential interest groups , or any innovative idea you may have to help educating underprivileged kids in India ) – to help empower the organisation and take it to greater heights. Posted on April 6, 2014 by shlokorg	• This entry was posted in Social service and tagged 14, 2014, charity, education, fund raiser, fundraiser, March, March 14th, midtown new york, new york, new york chapter, shlok foundation, shlok foundation USA, shook, underprivileged kids. Bookmark the permalink.